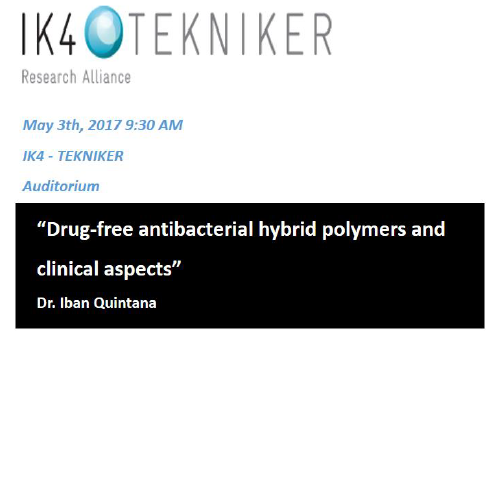 Following introductions to Tekniker’s activities in the biomedical sector and the HyMedPoly project by the project co-ordinator, Lucideon (download presentation), five presentations from project group members highlighted aspects of drug-free antimicrobial materials and medical device development. Note – some of these presentations contain images of medical conditions and procedures. A review of antimicrobial polymers from bacterial origins using polyhydroxyalkanoates and bacterial cellulose as examples and describing their synthesis, structure, properties and potential applications. A review of strategies to modify synthetic polymers to produce bactericidal effects through two strategies; polymers that mimic antimicrobial peptides and polymers that interfere with quorum sensing communication in biofilms. A review of methods of producing antibacterial capacity through nano- and microstructuring of surfaces, highlighting the role of the substrate and bacterial properties that need to be considered in producing effective results. A review of the role mathematical modelling and simulation play in medical device design. Using examples from stent, ophthalmology and implant design methods of accelerating and informing early stage development are described. A review of strategies and approaches to linking early stage materials development to the needs of medical device manufacturers and clinicians, highlighting both the challenges faced and the potential opportunities. 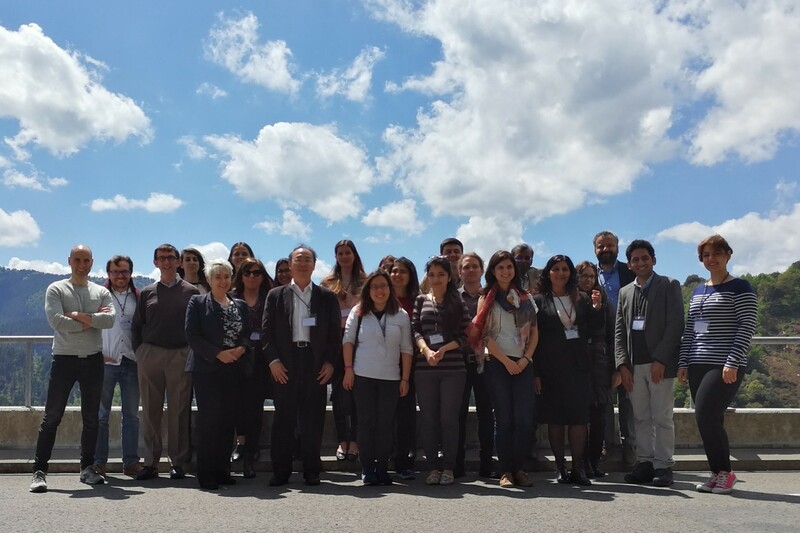 A discussion of the issues that companies face in developing new antimicrobial materials concluded the meeting.